Today's idea is a simple one. The idea is that one of the best ways to learn a language is to surround yourself by it. For example, one very good way to learn a language is to go and live in the country where it is spoken. You will learn in the classroom of course, but the really intelligent learners also learn out side the classroom. How can they do this? They look and they listen to see how the language is used. "There's a signpost. What does it say?" Can you learn anything from this signpost? Yes. 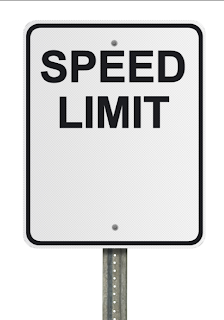 You can learn that the words "speed" and "limit" are used together. That's an important lesson. How about the online world? What happens if you cannot go and live in the country where the language is spoken? Can you still use this way of learning? Yes, of course. All you need is a little imagination. What you need to do is think about how you can use your computer to get the experience of living in an English speaking country. What do you always see when you go to the internet? 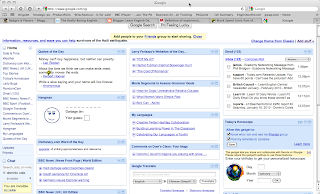 What this is is iGoogle. On this page I can see lots of things in English I can look at and learn from just as if I was living in England. It's in fact quite like the apps on an iPhone. I've got one of those too but iGoogle is completely free. If you are interested in this way of learning have a look at this video tutorial where I explain a bit more. Even if you aren't, listen anyway as it will be good listening practice. I would like to help others how to learn foreign language. I build vocabulary flashcards. A major benefit of the flashcards is that they are extremely portable, comfortably fit into my pocket. If I am standing in the queue at the movie theatre or the mall I pluck them out kill some time by revising them. To make cards I use Accelebrain tool.